If you’ve been a long time reader of Sugar and Charm, you know we love our mules! 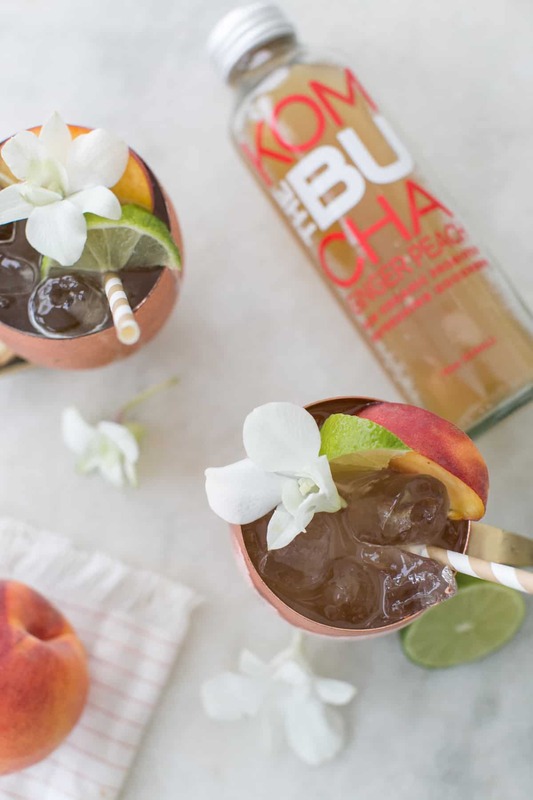 We even created the original Apple Cider Moscow Mule and if you’re a fan of Kombucha, you’ll absolutely love this delicious and refreshing Kombucha Mule! It’s surprisingly a perfect flavor combination, all while giving your cocktail probiotics! Wow. I drink Kombucha regularly and oddly enough, I actually remember my grandmother making her own Kombucha in the 90’s. Of course, back then I would run far from it, but now I’m adding it to cocktails and it’s delicious! 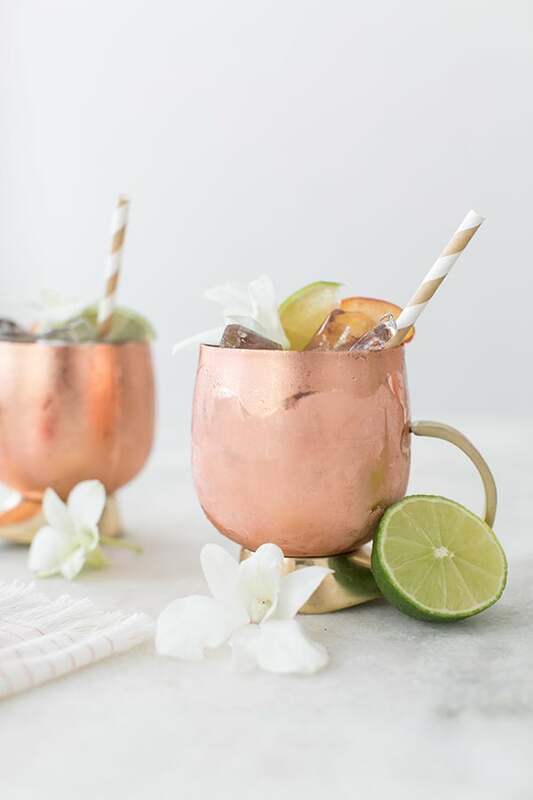 Try this Kombucha Mule recipe and I think you’ll agree! 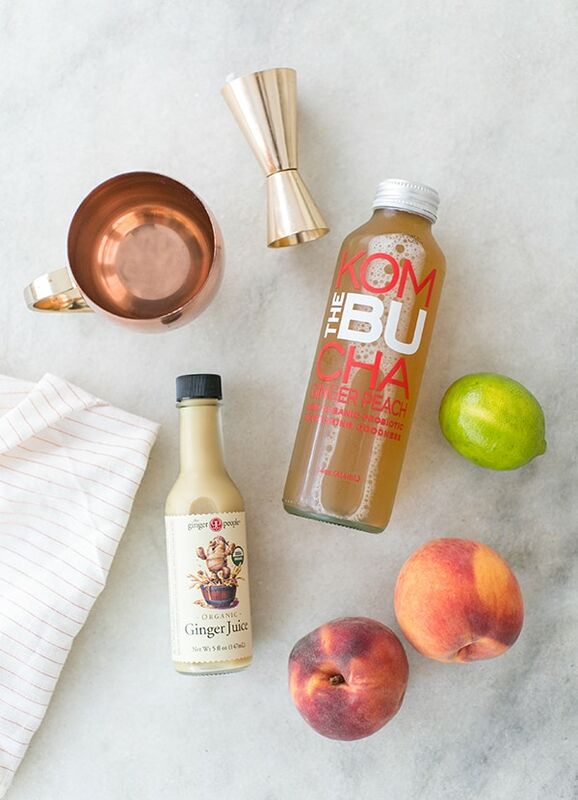 There are many flavors of Kombucha, but I spotted this peach ginger one and thought it would be amazing in a mule. 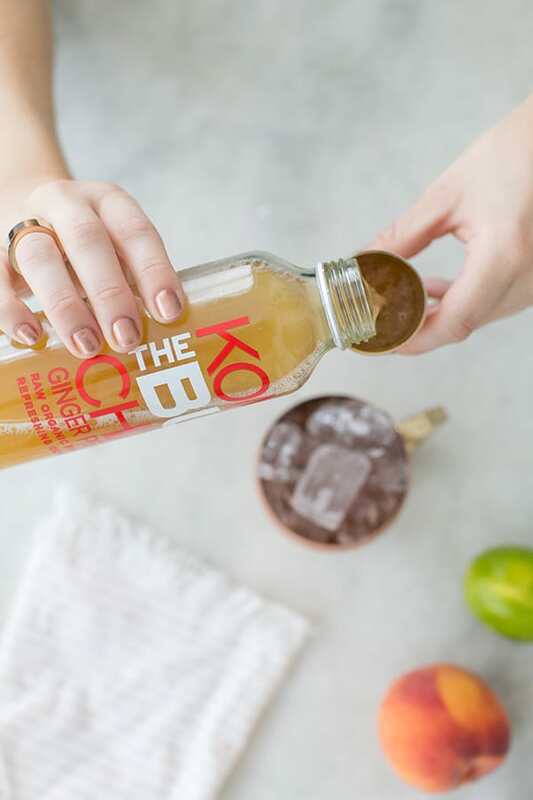 It tastes similar to a classic mule but Kombucha adds a nice, refreshing touch to it. 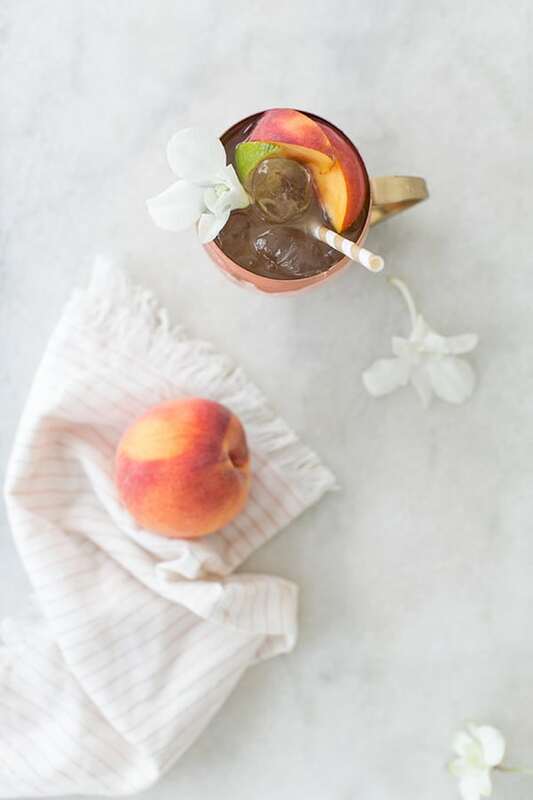 It’s very gingery and the hint of peach is perfect! Also, I always make my mules with this ginger syrup because it’s SO good!